The port of Cala Galera was one of the first private ports built in Italy. 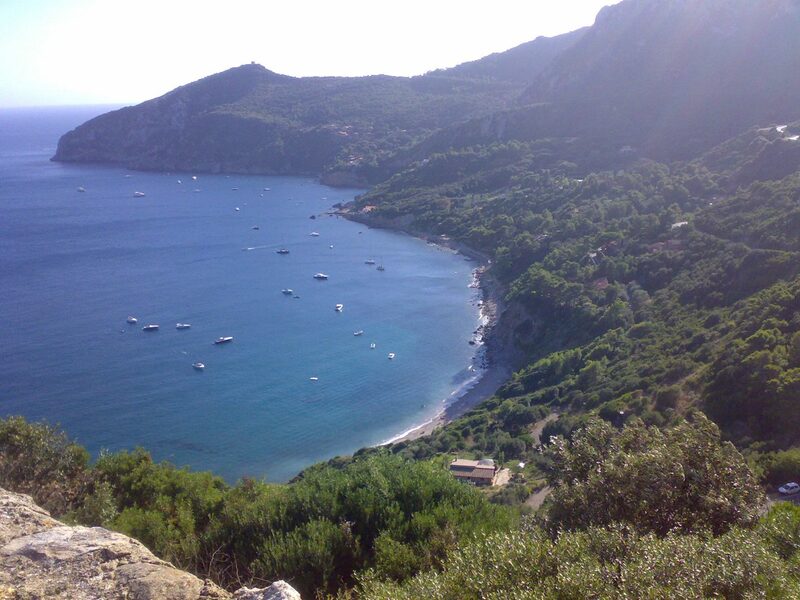 It is located in the homonymous eastern cove of Monte Argentario, about 3 km north-east of Porto Ercole. The port, called “marina of Cala Galera”, is located on the Tyrrhenian Sea and was built during the seventies, in the period when Susanna Agnelli was mayor of Monte Argentario, and has gradually become one of the largest and most equipped tourist landings of the whole Tuscan coast. There are almost 670 total berths, of which 60 are reserved for transiting boats up to 50 meters in length; the depths are included, between the 3,5 and the 6.5 meters, both on the quay and in the entire basin. Among the operators there are also some charter agencies and brokers. There is a wide range of services available, among which are the fuel stations, the slipway, mobile cranes, the travel lift and the workshops for assistance on all boats, including repairs of sails and engines. At the port there is also the weather service, the food supply point and the connection for water, electricity and telephone. For several years now the port has been awarded the Blue Flag, awarded by the Foundation for Environmental Education to European tourist landings that meet the quality criteria set by the FEE. In the port is the Circolo Nautico and the Vela Argentario, a historic Yacht Club that organizes the oldest offshore sailing championship in Italy; the Argentario Winter Championship. The small bay of Cala Galera, before the construction of the tourist port, was characterized by a small, very man-made beach, crowned by vegetation, including eucalyptus trees that grew up to the shore and lacking significant constructions; its shallow and calm waters made it a suitable place for families with young children to spend their summer holidays . The gradual silting of the bay created the dune of Cala Galera, used for tourism purposes  and composed, in large part, by lithophilous vegetation with a low covering of cliffs and cliffs , which affects the terminal part of the Boccadoro ditch, parallel and adjacent to the subfloor quay, between Punta Caterina and Poggio Pertuso. The area of ​​the area adjacent to the pier will also be affected by a new mooring point for minor boating, with dry-water shelter area .